Wow!!! The past couple of months have been incredible! 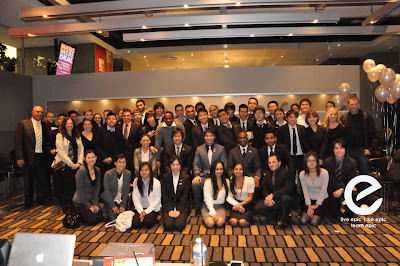 It’s been a time of renewed enthusiasm and greater commitment in the field from coast to coast, from island to continent! The excitement surrounding the new Lifetime Matching Bonus along with the Premier Platinum Pacesetter requalification has motivated many of our active Associates to push themselves and their teams even further to the next level in their USANA journey. Also many inactive Associates across Australia and New Zealand have been inspired to come back to life! New seeds have been planted and the crops are growing! New leaders are emerging! 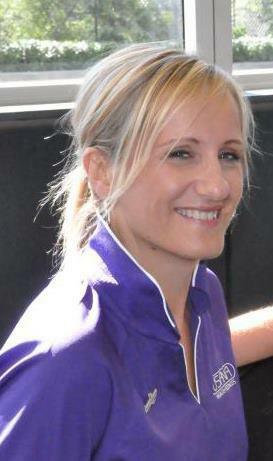 We've seen huge numbers of new enrolments supported by our free Business Development System (BDS) promotion. Also we have listened to your feedback and launched the new enrolment packs! On top of all this we are experiencing the excitement building for the festivities in store for us at our 20th birthday celebrations at our upcoming International convention in Salt lake City, Utah. We have record numbers of Associates from Australia and New Zealand planning to attend! We have also been privileged to have US 2-Star Diamond Directors Tony &Tammy Daum visit our shores for our quarterly Connect4$uccess event. 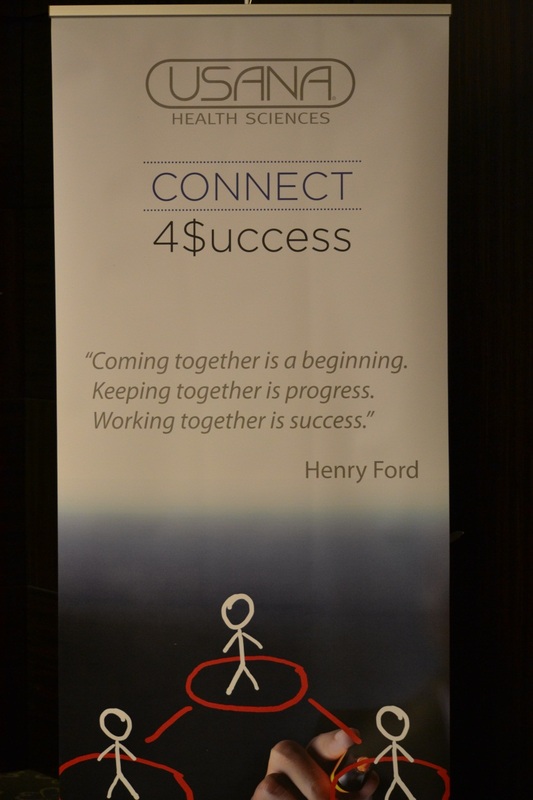 From the first leg of the Connect4$uccess tour in Auckland New Zealand, which also featured a very special guest, CEO Dave Wentz, to the final event in Sydney, Tony and Tammy Daum shared to over 1500 Associates and their guests . 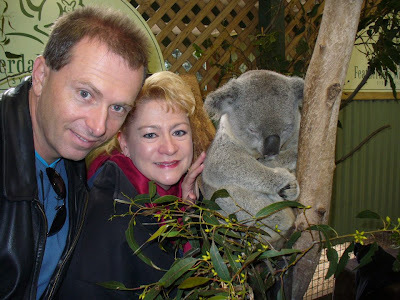 Tony and Tammy shared their knowledge of the USANA business model, their effective training systems, their leadership training and most of all their personal USANA story, which showed an obvious passion for helping others succeed! The opportunity to travel with the Daums has been a real highlight. It amazes me how there are always many new ideas to share on how to make this business simple, duplicable and fun! And I never tire of the incredible personal stories! It’s what makes our business so special! With a jammed packed itinerary there were only select moments for leisure time but we managed to show Tony and Tammy that we really do live in the best place in the world! 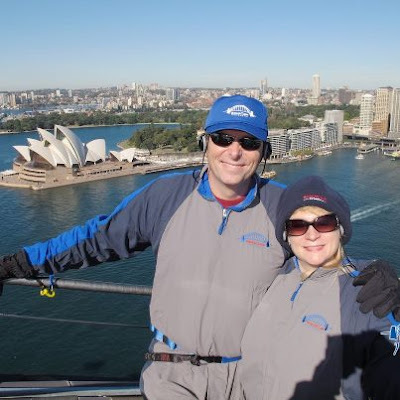 From flying aerobatic planes in Auckland to scaling the Sydney Harbour Bridge …It must have worked as Tony and Tammy Daum are planning to come back soon for a vacation! Tony and Tammy Daum on the top of the Sydney Harbour Bridge! Believe in yourself and refuse to quit-your persistence will pay off! There are more people turning 18 every day than you could ever imagine ~ there is always enough people! Look at what is right in your own town! Change your mindset from looking at the challenges to focussing on the opportunities and possibilities! Continue building your down-line until the leaders emerge! New Aussie friends were made! 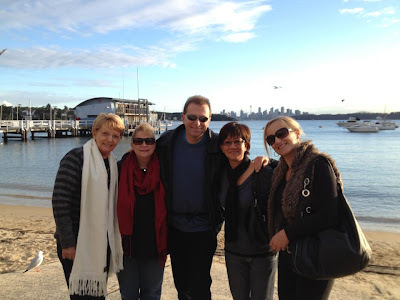 Visiting beautiful Watsons Bay in Sydney with assistant tour guides Josie Tong and Annette Rossi. 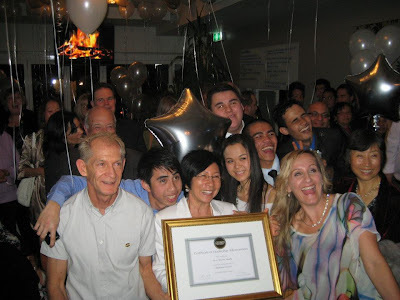 Back in Sydney our Gen Y Team EPIC invited USANA corporate along for an evening of recognition and celebration! We acknowledged the many successes within the team from Sharer all the way to Diamond – A huge congratulations to new Diamonds Raman Chen and Meir Tang! 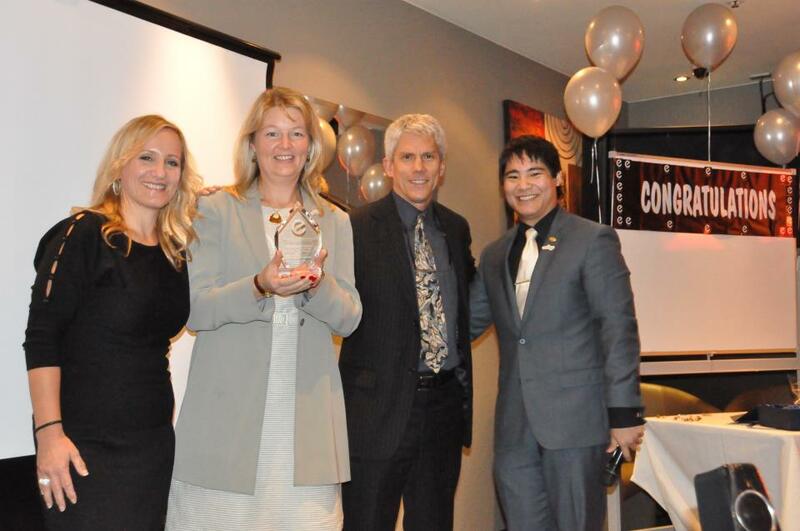 The USANA Corporate team were delighted to receive a very special trophy thanking us for our continuous encouragement and support! Wow we get the awards too!! Honoured to receive a trophy from the team! Thanks guys! 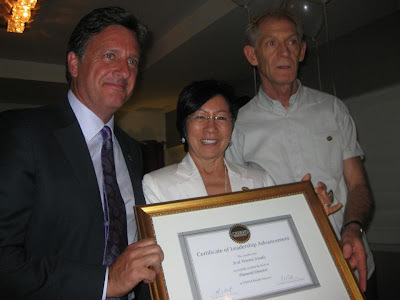 Yet another recent highlight, our Vice President of Pacific region David Mulham and I, had the honour of attending Jo and Warren Naseby's Diamond party in Perth to present them with their Diamond Certificate and Diamond pins. It was a great opportunity to publicly congratulate these guys for achieving their dream of Diamond and really pumping the Western Australia market. As always it was a pleasure to visit beautiful Perth! David Mulham presents the Diamond Pins and Certificate! Congratulations Jo and Warren! Party Time with new Diamond Directors Jo and Warren Naseby and the fabulous Perth team! With so much more coming up over the next couple of months, I look forward and am excited to see what will unfold!